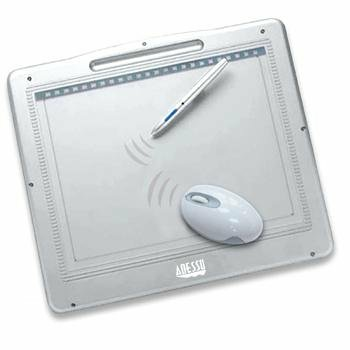 The Adesso Cyber Tablet 12000 is an ergonomically designed tablet with a wireless scroll mouse for easy drawing, handwriting, sketching, coloring and picture editing. With its 12" x 9" work space, the CyberTablet 12000 offers you the freedom of movement and fine-tuned sensitivity to accomplish the most sophisticated computer-aided designing tasks. A powerful, yet easy-to-use combination of a pressure-sensitive pen, tablet and software lets you naturally draw and write freehand graphics and text as comfortably as you would on real paper. The possibilities are endless with this grand piano of tablets. This computer drawing tablet will enhance any system. The ideal choice for professional computer artists. 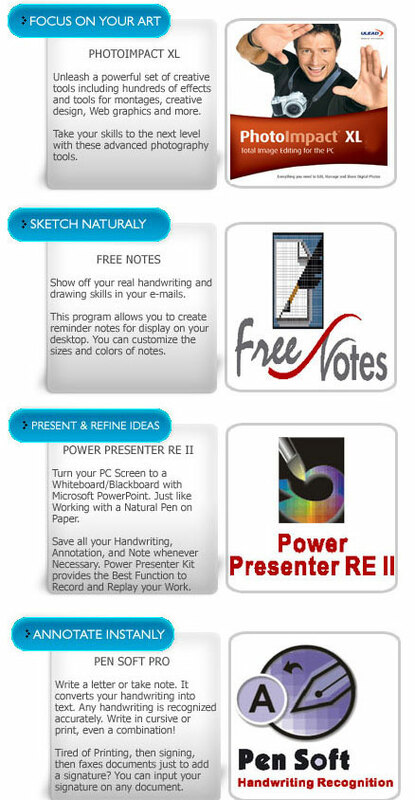 Offers you handwritten signature in documents and emails. Precise, light and fast-moving cordless pen. Pen unit includes right and left keys. Dual absolute and relative coordinate modes. Applicable to all Microsoft office programs including Power Point, Excel, and Word. A nature digital input solution to prevent you from injuries to your wrist. No need for separate power adapter, completely USB powered. Active tablet space: 12" x 9"
12" x 9" writing area, making it the ideal choice for professional computer artists. Wireless 2 button pen with 512 levels of pressure sensitive to provide all the comforts of a normal pencil. High accuracy and sensitivity for a highly reactive cursor. 512 gradations of pressure sensitivity for highly accurate rendering in painting and writing. 2 button ergonomic wireless mouse with scroll wheel for right and left handed users. High resolution, supports up to 3048 lines per inch.